The District two fall regional is being hosted by the Liberty chapter in Langhorne PA the weekend of October 19-21st. We hope to have the registration live on this site by the end of August. 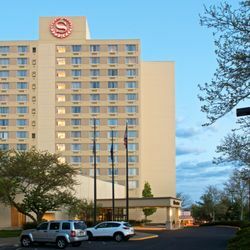 Go ahead a book your hotel room at the Sheraton Bucks County. Room Rate is $145.00 plus taxes/night. A fun packed weekend is plan with something for every age group to do. Please remember registration packets are mailed on an individual basis and will only be mailed out after I receive a written request. Online registration will be available soon. Will do please just make sure your address is up to date. Please send info regarding district 2 fall regional in Bucks County. Is there a schedule of events yet? I would like to register for this. Thanks. Where you able to find the information for the regional? Is there anyone, 55 & over with Kniest Dysplasia in Philadelphia county? Thank you. This would probably be a good question for our Facebook page.